Merrrry Christmas, ComicsAlliance readers! Because you've all been so awesome about contributing your creativity to the numerous contests and other participatory events we've had in 2010, we wanted to give you something special during this gift-giving season. And by "you" we mean one of you, and by "give" we mean award. That's right, a new ComicsAlliance Christmas contest! The Challenge: Do your best impression of a Calvin and Hobbes Christmas card photo and tweet it @comicsalliance #CalvinChristmasCard. We'll select our favorites to be featured on the site AND three good little children will win an awesome documentary about one of the founding father of comics, Will Eisner. More details on the contest and prize after the jump! The Prize: Do you love splash pages and the term "graphic novel"? What about the gritty stories of Frank Miller or the comic book essays of Scott McCloud? Then you're really a Will Eisner fan already. For those of you who don't know, Will Eisner was a key innovator of techniques that are now common place in comics. He wrote one of the first book-length non-genre American comics as well as some of the first major academic work on the art form. 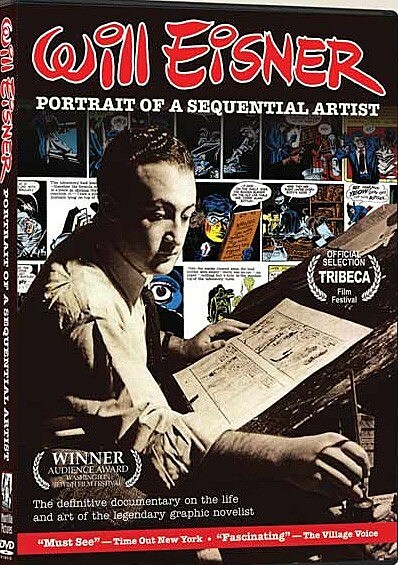 All this and more is why the most prestigious awards in comics are named the Eisners, and why this most venerable creator is the subject of Will Eisner: Portrait of a Sequential Artist, a lovely documentary film directed by Andrew D. Cooke. Check out the trailer below to learn more about this awesome documentary. Rules and Such: Winners will be announced on Monday, December 27th. Click here for official rules.